The Chinese city of Harbin, in the northeast of the country on the border of Russia, is a fantastic destination, whatever time of year. The city is a fascinating fusion of Chinese and Russian culture, and is of great interest to travellers with a passion for unique architecture. A must-see for anyone visiting the city is the breath taking Saint Sofia Church, a classic example of Russian design. Harbin’s location, and expose to Siberian weather, means that winter temperatures average at around -20 degrees Celsius. It’s therefore the perfect destination to host an annual Snow and Ice Festival, which the city does each January for one month. 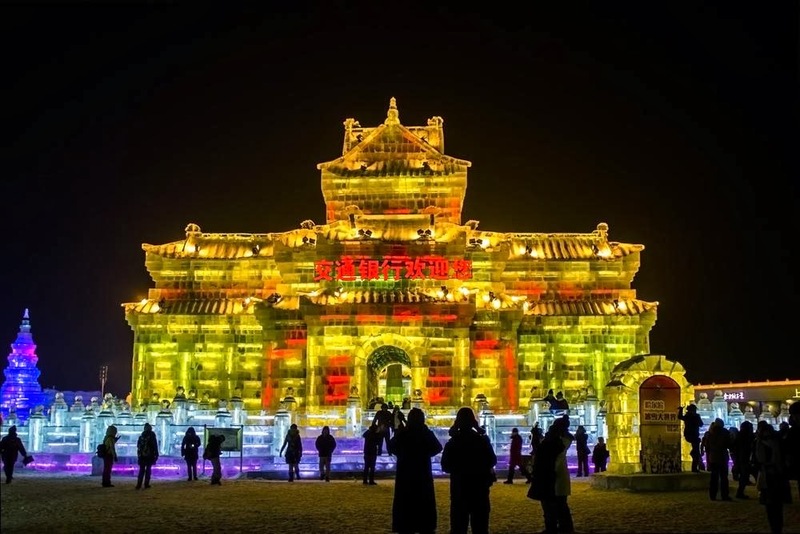 The festival is the largest of its kind in the world and showcases both traditional and modern techniques of ice and snow sculpture. The festival even involves constructing full sized buildings, made entirely from ice, as well as winter sports such as alpine skiing. Although it’s not possible to fly directly from the UK or the USA into Harbin, the city boasts a large airport with a selection of Chinese and Asian routes. Travellers from Europe or America should head to Shanghai, Beijing or Hong Kong and make a connection to Harbin. Harbin is a big metropolis. With more than 4 million inhabitants, it’s more than capable of coping with the crowds flooding in for the festival. When it comes to accommodation, there is something to cater for every kind of budget. You can find luxury hotels, comfortable chains and budget hostels throughout the city. Naturally, hotels are going to increase their prices around the festival, so it’s a good idea to get booked up as early as possible. Although the average winter temperature is around -20 degrees Celsius, it’s not uncommon for Harbin to experience temperatures as low as -35 during January! Your wardrobe will need to be ready for the worst a Siberian winter can throw at you. As well as heavy coats, hats and gloves, it’s also a good idea to wear a baselayer beneath your clothing. Baselayers are usually worn by athletes during cold weather, although they’re ideal for slipping on beneath your clothes. A baselayer traps an insulating layer of air on top of your skin, without making you too hot or uncomfortable. You will also need to give suitable consideration to the type of footwear that you take, and will need a pair of walking boots or wellingtons boots that will waterproof, keep your feet warm and have a decent grip. Jones Bootmaker sell a wide range of appropriate footwear, and the products in this range are perfect for the conditions you’ll be experiencing in Harbin. 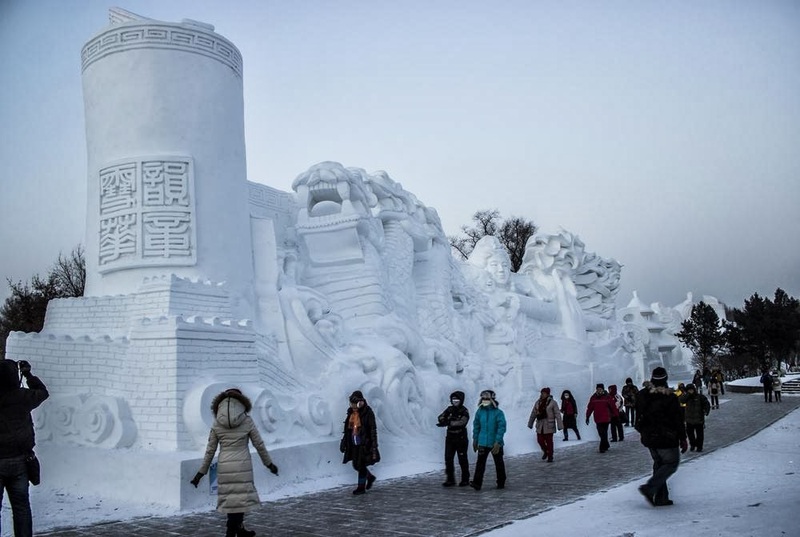 The Harbin Snow and Ice Festival is a truly enchanting event, in a unique city like no other in the world. You’ll come across sights that will take your breath away and you’re sure to make memorise that will last a lifetime. For more information on the festival, take a look at the official website.